U.S. Department of Transportation Secretary Anthony Foxx announced last week that the NHTSA and the FMCSA are proposing to equip heavy duty commercial vehicles with speed limiters for their use on roadways in the US. This regulation would require that the devices be set to a maximum speed. Foxx and the agencies believe that these speed limiters could save many lives, as well as $1 billion in fuel costs per year. The new proposal would set up new safety standards that would mandate that all trucks, buses and multipurpose passenger trucks and other vehicles with a gross weight above 26,000 to be equipped with a speed limiting device. 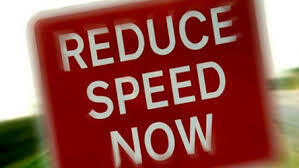 The proposals also details possible benefits of setting speed limiters for commercial vehicles at 60, 65 and 68 MPH. However, the agencies above stated they will consider other maximum speeds, depending upon the input of the public. The motor carrier would be responsible for maintaining the speed limiting devices at or under the designated speed. As Virginia personal injury lawyers who often handle truck crash cases, we applaud the above proposed rule. If a truck cannot go above a certain speed, say 65 MPH, it will certainly save lives, and trucks will still be able to get where they need to go on time. Trucks weigh more than 20 times more than many cars, and the devastation of a truck crash – especially one speeding well above 65 MPH – is a horrible thing. Many of our clients have lost loved ones in terrible truck crashes caused by speeding, recklessness and distracted driving. If trucks are not able to go as fast anymore, perhaps some horrific truck accidents can be avoided, such as this one in Virginia that we settled for $3.5 million.